Valentine's Day is fast approaching and I bet a lot of couples have forgotten to buy their other half a gift. 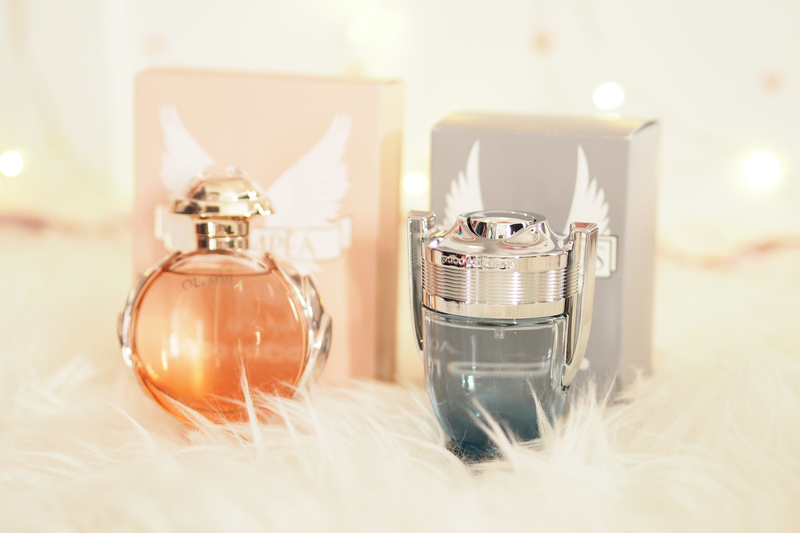 Fragrance Direct are offering some great scents at a good price and I thought I'd mention the new Paco Rabanne Aqua fragrances. The Aqua creations are 'refreshing like the deep sea' with delicacy from the new designs and a touch of sensuality. 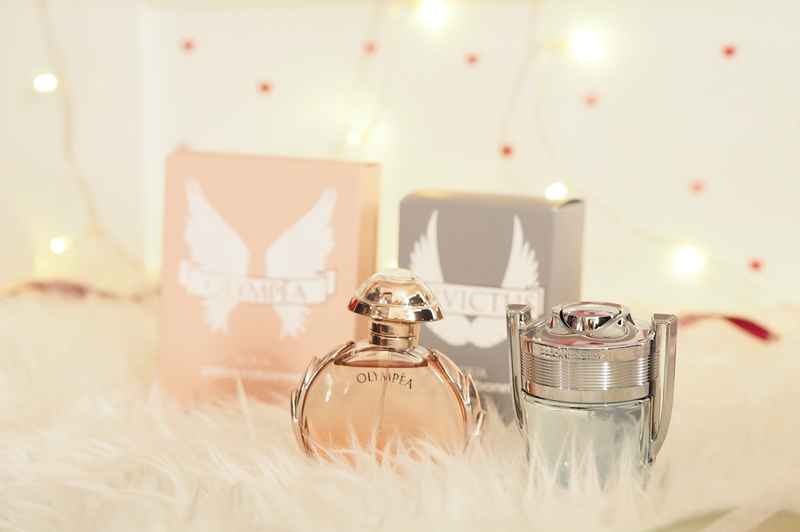 I hadn't tried any Paco Rabanne perfumes before, so I was intrigued to see whether these fragrances met the high expectations the others around me had set. 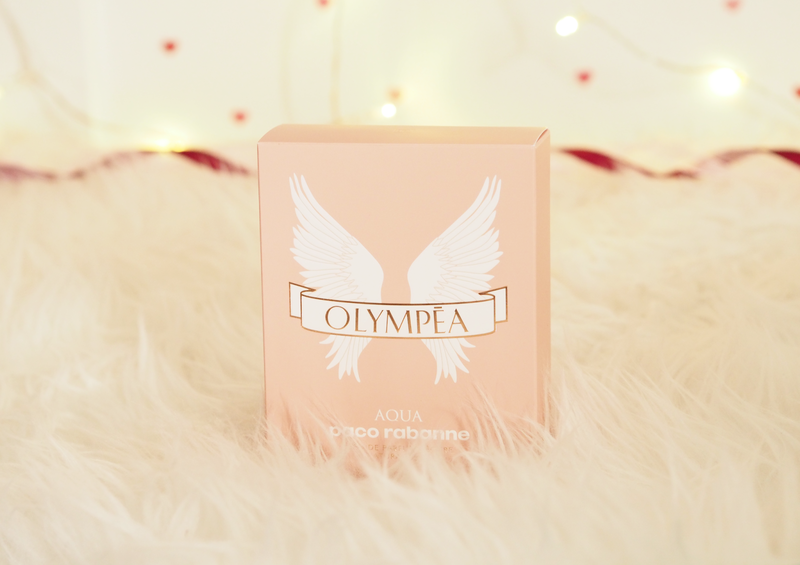 The Paco Rabanne Olympéa Aqua EDP is a fresh scent with Calabrian Bergamot, Petitgrain and aquatic accords, that leads to the heart of the Ginger Flower. It's reflected in the base of Salty Vanilla, Cashmere Wood and Ambergris. 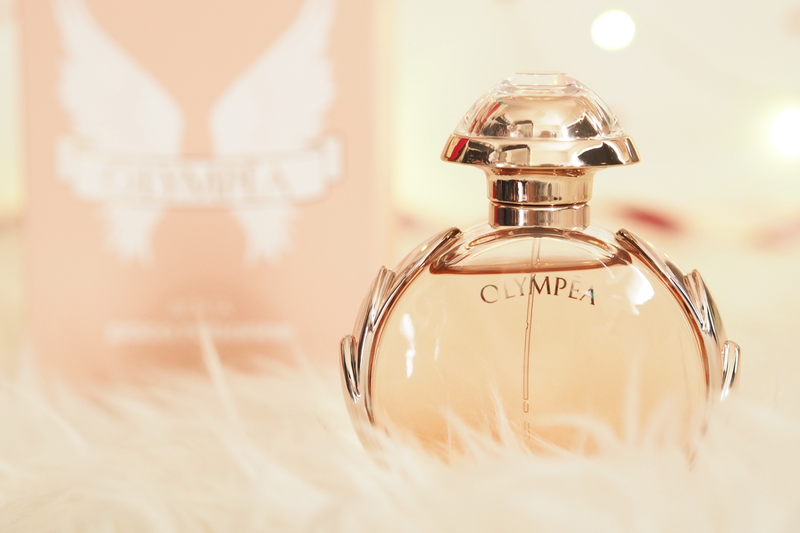 The idea behind Olympéa Aqua is to tame the desire to conquer everything from Invictus, as Olympéa is for a woman with delicate power. 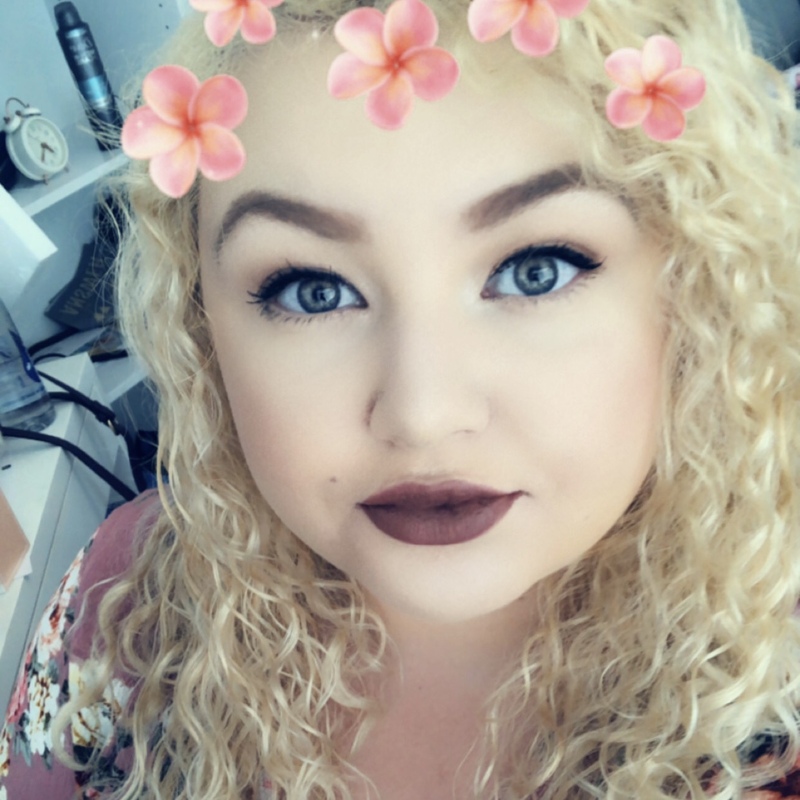 When Invictus and Olympéa are as one, they silence all voices and capture all eyes. I love the bottle, with the colour reflecting the ingredients of Ginger Flower and Cashmere Wood. 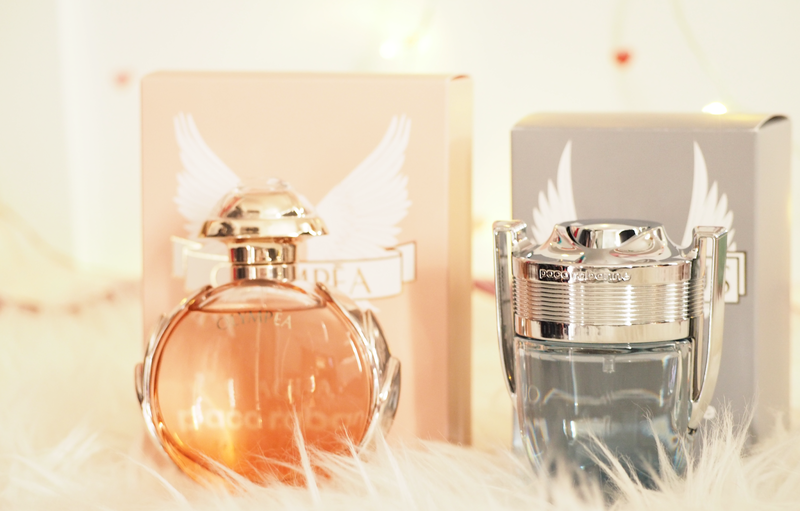 The almost rose-gold finish is appealing to the eye and goes well with the rest of my perfume collection. 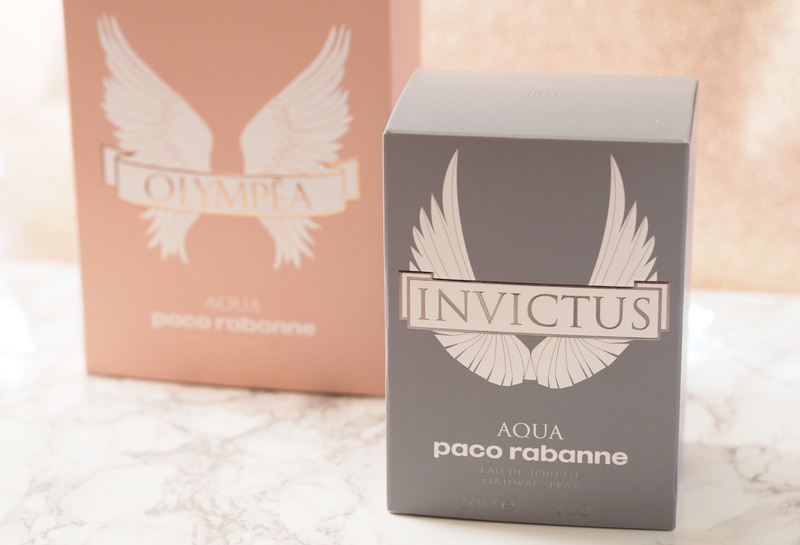 Paco Rabanne Invictus Aqua EDP is a fresh scent blended with the 'energetic combination' of Grapefruit, Pink Pepper and Yuzu, with marine notes in the heart wrapped in a 'Herbal Violet Leaf accord. The intense scent of Guaiac Wood is paired with Ambergris and Woody Amber in the base. The fragrance is created upon the image of a man who has an athletic body, with every moment showing precision and power. The bottle definitely reflects what Paco Rabanne are doing when describing the scent, with the ombré blue an nice added touch to mimic the picture around 'Aqua'.